Saturday, July 7 will mark the 10-year anniversary of Ben Coates being voted into the Patriots Hall of Fame, becoming the first tight end to gain entry. He currently remains the only player at the position in the team's Hall. But Coates made one thing clear when we caught up last week: He is expecting company soon from Rob Gronkowski and he welcomes it, even as Gronkowski (474) is on the cusp of breaking Coates' franchise record for career regular-season receptions by a tight end (490). Coates claims he doesn’t hold negative feelings despite the fact that his time as the franchise’s all-time top tight end receiving leader is coming to an end. Instead, he is happy for the man who’s now wearing his No. 87. As for who the best-ever "complete" tight end might be, Coates said that will always be up for debate because of how the game has changed from era to era. It’s a sensible sentiment for Coates to acknowledge that his record likely wasn’t going to last forever. 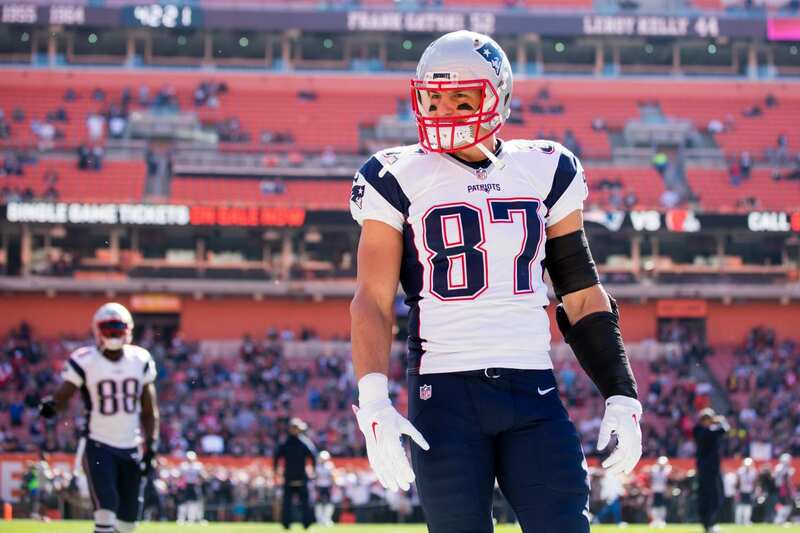 While Coates’ achievements during his career were admirable and praise-worthy in their own right, Gronkowski has simply been on a completely different, all-time great level, and he fully deserves to claim the record as his own. But there is no debating Gronkowski's value to the Patriots, or that Coates' franchise record of 19 years is about to be surpassed.